Christmas comes with enough pressures, from how to cook the perfect turkey (to brine or not to brine? ), to managing family dynamics and finding the time to wrap everything, the last thing you need is to be stressing about is the Christmas wine. We’ve put together a few tips that we know help to keep the wine ticking over smoothly so you can focus on the fun stuff. It’s easier to warm wine up that cool it down, particularly in a hot room, so chill your wines in advance. The most effective way to chill wine and keep it cold is in ice. If you’ve got space for a big ice bin then you’re laughing as the beers and tonics can go in there too. We use a rubber garden trug. Buy your ice in so you’ve got plenty. Search for your local ice delivery service, particularly if you’re in a town or city, they often deliver to your house for very little. Otherwise Majestic, wine merchants and supermarkets all sell bags of ice, co-op’s are £1 per bag. Handy for a cheeky G&T too. Top up your ice bucket/bin with water to speed up the chilling process. Have some wine sleeves in the freezer. These chill bottles really quickly and keep them cold, perfect if you’re passing the bottle around. They aren’t pretty but they are effective. Red wines that are designed to age or have high tannin like Bordeaux can benefit from a bit of air contact before you drink them to make them taste smoother and to enhance the flavour. But most reds we buy these days are meant to be drunk now and so don’t *have to be decanted. If you do plan to decant, just opening the bottle won’t help much as the contact with air is so minimal, you actually have to tip them into something that allows contact with the air. Technically a pyrex jug will do, but it’s not pretty! You can get some classic decanters for a reasonable price see Wineware and LoveTiki here. Alternatively, you can tip your wine into a jug give it a slosh and then tip it back into the bottle. If you’ve got a very old wine or an exceptional vintage you need to be careful as decanting is also used to remove the sediment. 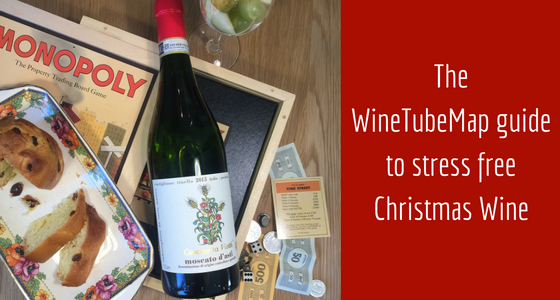 The wine is also more fragile so you should pour very gently – no sloshing! There are loads of aerators on the market but in our experience they don’t really work, neither does the current trend to blend for 30 seconds. In this case there aren’t any shortcuts. Have your glasses out somewhere (if there’s any work surface) or all in one place so anyone can help themselves and they aren’t relying on you – if you’re short of glasses use leftover ends of wrapping ribbons to tie round the stems so people know which glass is theirs. Make sure you’ve got an old school waiter’s friend corkscrew around, it’s the most reliable, unfussy way to open wine and you can cut the foil and open beers too. Definitely no need to spend a fortune on snazzy corkscrews. Delegate wine duty to someone – generally people quite like having a job and wine is a good one for someone who isn’t going to get stuck into the food side. Show them where everything is and let them sort it out. Find a Drinks Monitor badge to award to your nominee. Dishwash don’t sink wash – even with your good glasses. You’re far less likely to break glasses in a well-stacked dishwasher than in a sink, particularly after a long day! Clearly this doesn’t apply if you’ve got very hard water or if you don’t have a dishwasher. Have a back-up of wines you like – it’s easy to get sucked in to buying what you think you should be drinking, but it’s a travesty not to drink what you (and your guests) like. If people are likely to bring a bottle or are asking what they can contribute, ask them to bring a specific style, that way you’ll get a good selection and everyone gets to contribute. Especially good for things like port, sherry, marsala (see below) that you might not get around to. For parties keep it simple, don’t get a big mixture, just get one of each flavour of wine i.e. one red, one white, one fizz and buy crowd pleasing styles , people are there for the party not the wine. Make sure you have red and white with your turkey to please the red and white lovers. If it’s all getting a bit rich, have a lighter wine like moscato with your pud as a bit of a refresher. Marsala, madeira, tawny port and amontillado and oloroso sherry are great wines to have around for mopping up cheese, cold stuffing, mince pies, chocolate, quality streets, walnuts etc. Not as heavy or sweet as red port. Serve cold. But most of all enjoy the people around you and share your Christmas wine nicely!